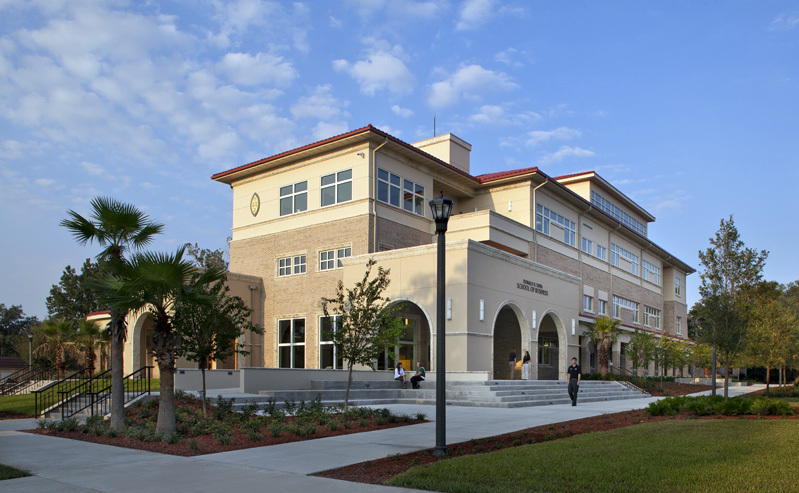 The LEED Gold Donald R. Tapia New School of Business at Saint Leo University is a modern building on a historic campus. 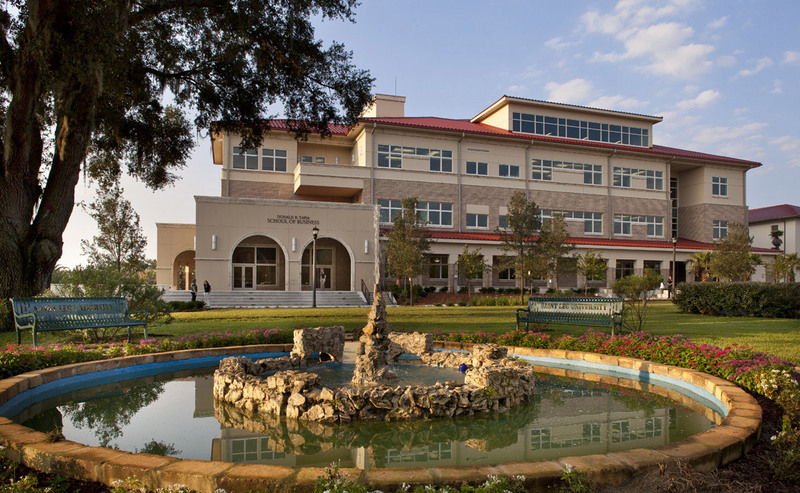 Adjacent to a Benedictine Abby, the building remains true to the Campus’ historic Mission theme while serving as a beacon for the technologically advanced future of the institution. 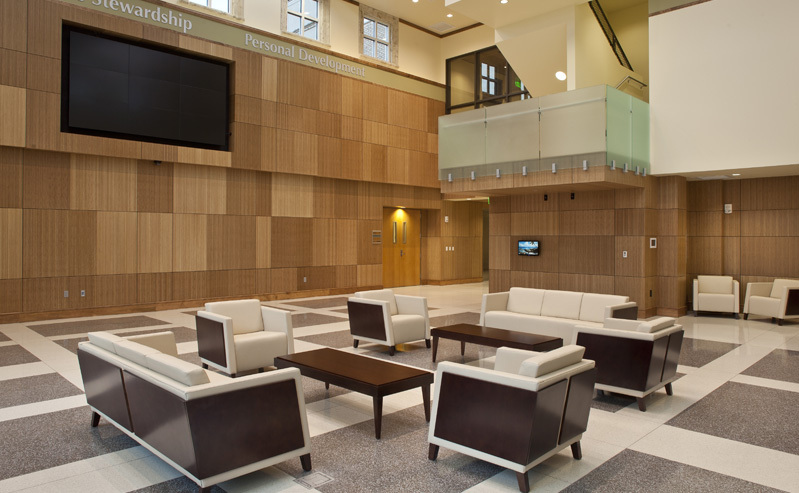 Collaborative spaces and student-faculty interaction played a crucial role in the design of the School of Business. 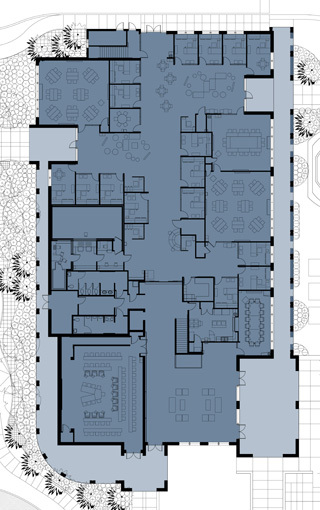 Faculty offices are adjacent to student gathering areas to encourage and maximize planned and chance interactions. Openness and accessibility were balanced with the need for confidentiality and course preparation time through the use of frosted glass window panels and acoustic privacy. 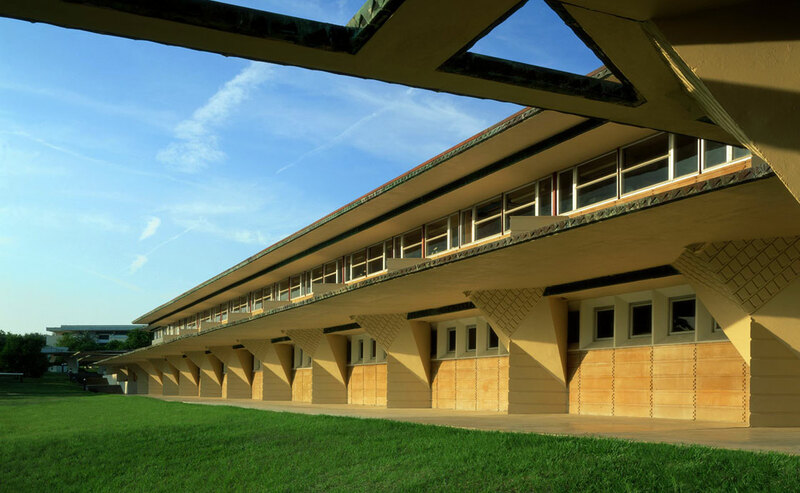 Classrooms were designed to emphasize technology and movement rather than to enforce traditional classroom design. 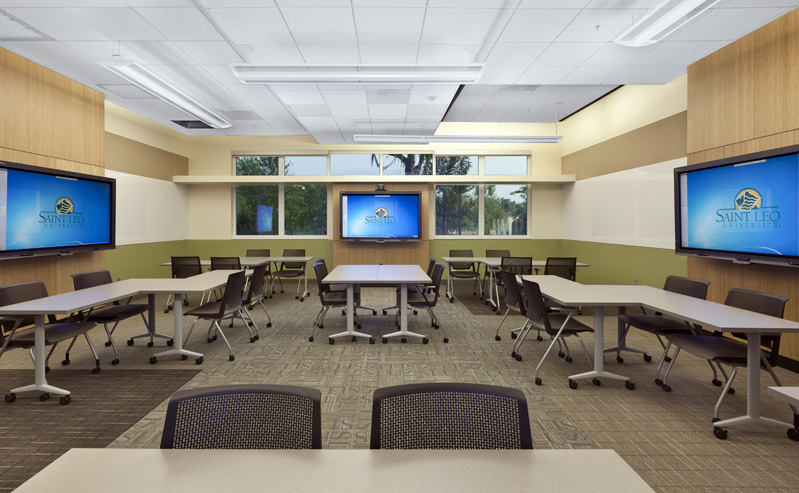 A variety of learning styles are accommodated in the classrooms so that a student in any seat has a clear view of the SMARTboards and white boards on each wall. Through the use of hand held devices, professors are not tethered to podiums or desks and are free to move around the room. Seating arrangements are flexible and can easily accommodate any lesson plan or activity. 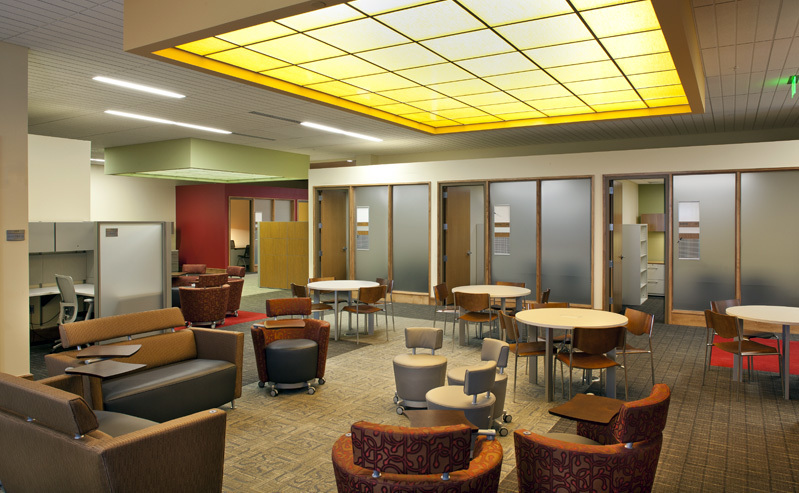 Breakout areas outside of the classroom are private, semiprivate, or open allowing students to easily find a space to accommodate their academic or personal needs. 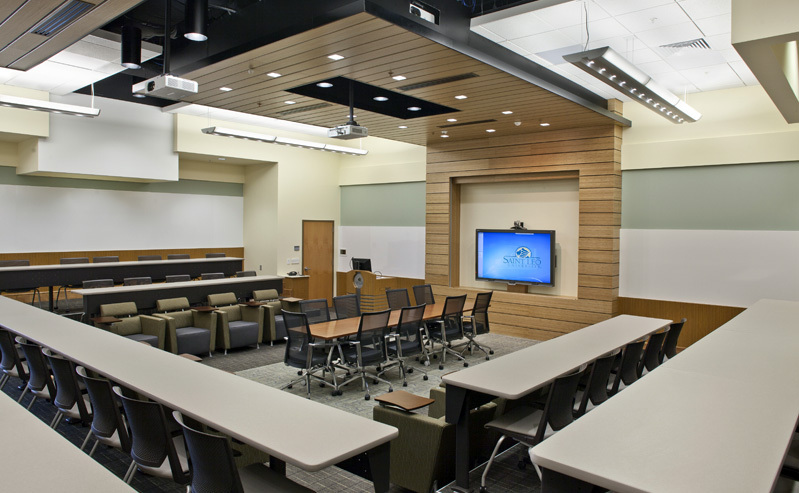 The building’s lecture hall is designed so that a conference table for the speaker is in the center of the room – close to all students. Tiered seating wraps around the room, placing students across from each other and encouraging interaction. Technology surrounds the room with presentations always in a student’s line of sight. 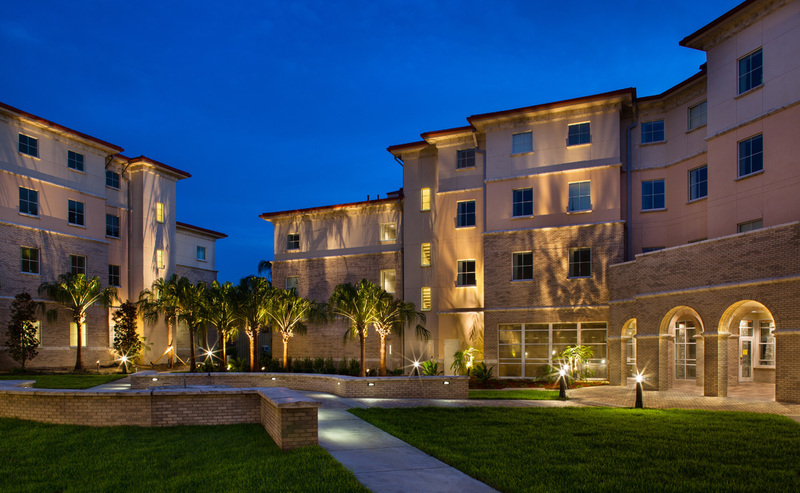 The architectural firm provided all A/V and furniture selection and procurement. 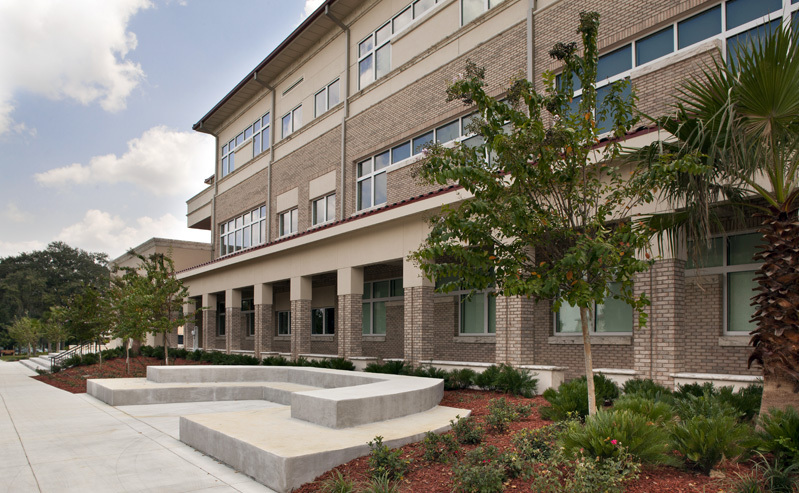 The building received LEED Gold certification.